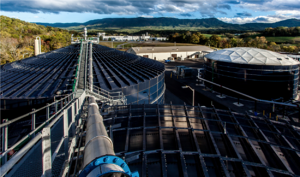 In this joint venture with Haskell, Brown and Caldwell designed and constructed a new process water reclamation facility (PWRF) to provide a long-term solution for process water management that allows for future production growth and water reuse. The project involved planning, process design, detailed design, and construction services for the replacement of an existing process water pretreatment system with a new PWRF. This project was a textbook example of how a PDB project should evolve, so there were no significant disputes. All challenges were handled in a way that achieved the best possible outcome for the owner, the project, and the DB team.